Ever since we started our new way of eating, I have tried many different times to make a macaroni and cheese that would be both delicious and satisfying. It wasn’t until yesterday that I finally found the recipe that I will be using from now on! 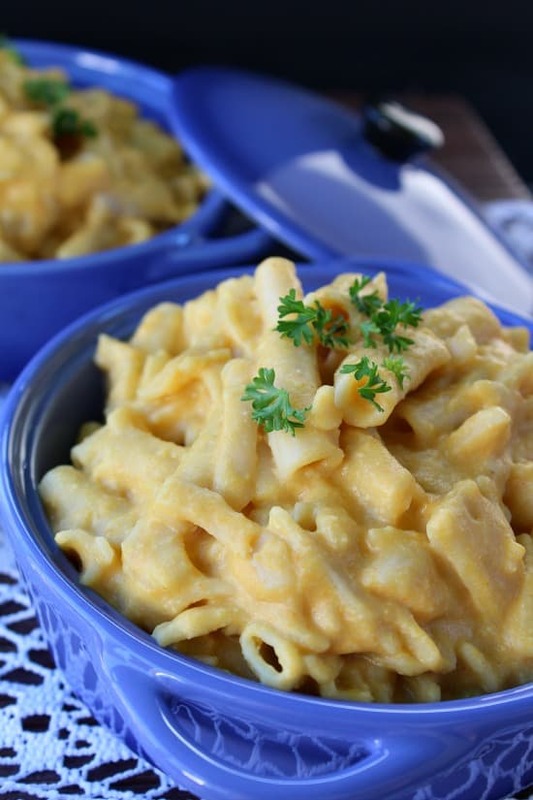 This mac and cheese vegan style is absolutely the one for us! I love this sauce! 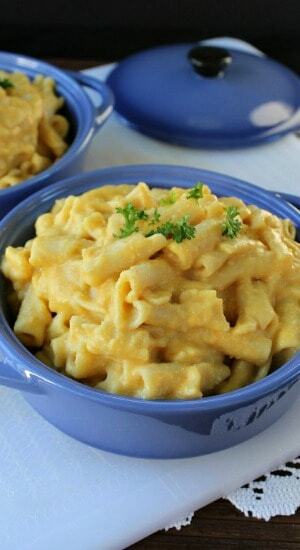 It’s definitely creamy and with this mac and cheese recipe, I feel like I’m really eating the real deal! It wasn’t until I got my new Vitamix that my cheese sauce became wonderful. I had soaked my raw cashews in the previous recipes I’ve tried, but it is not the same as being able to blend them into such fine powder! I love my NEW Vitamix. When my boyfriend bought it for me, he asked me what was the first thing I was going to make? I told him, “I’m going to get my cashews to powder.” Sure enough, it happened and the cheese sauce was so creamy and delicious! This cheese sauce is great for pouring over broccoli, using as a dipping sauce for homemade pretzels, and lots of other ideas. I’m sure you can think of many different creative ways to use it. 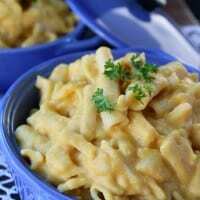 So if you haven’t made a healthy mac and cheese yet, make sure to try this mac and cheese vegan style today! 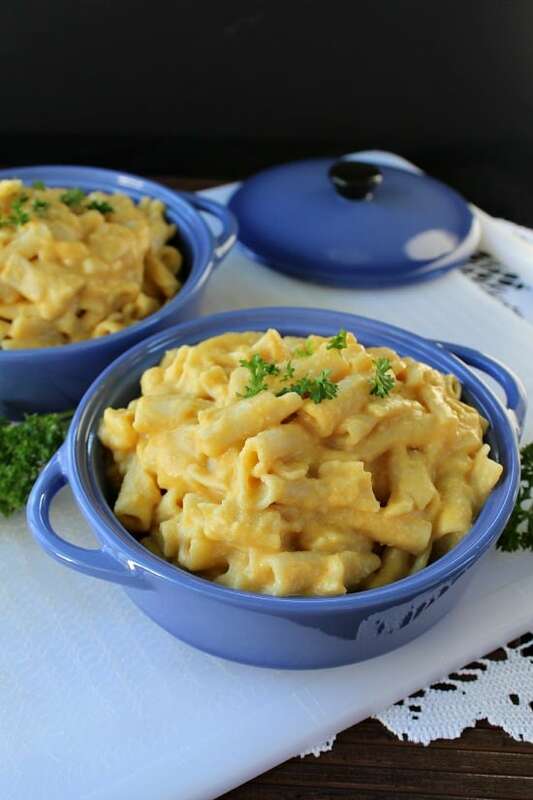 This Vegan mac and cheese recipe actually was a super fast meal to prepare. The most time and effort was peeling and cutting the veggies, then waiting for them to become tender. This took less than 30 minutes to make. I actually had cheese sauce left over, so cook a little more pasta if you would like, or save the extra sauce to dip your raw veggies in, or use for homemade whole wheat bread sticks. I actually added more sauce to this dish when I reheated it today, so I’m glad there was a little leftover. Bring 3 cups of water to a boil in a medium sauce pan. Add 1 1/2 cup of reserved water, cashews, coconut milk, nutritional yeast, lemon juice, garlic powder, salt and cayenne pepper to Vitamix. Blend on high until ingredients are nice and creamy, less than a minute. Add pasta to a serving dish, or back into the large pot, and pour the "cheese" sauce over the pasta. If you do not have a Vitamix or high power blender, make sure to soak your cashews for a few hours before using. I have to say, and say LOUDLY, that this recipe is truly GREAT GRUB!! Wow, Terri!! 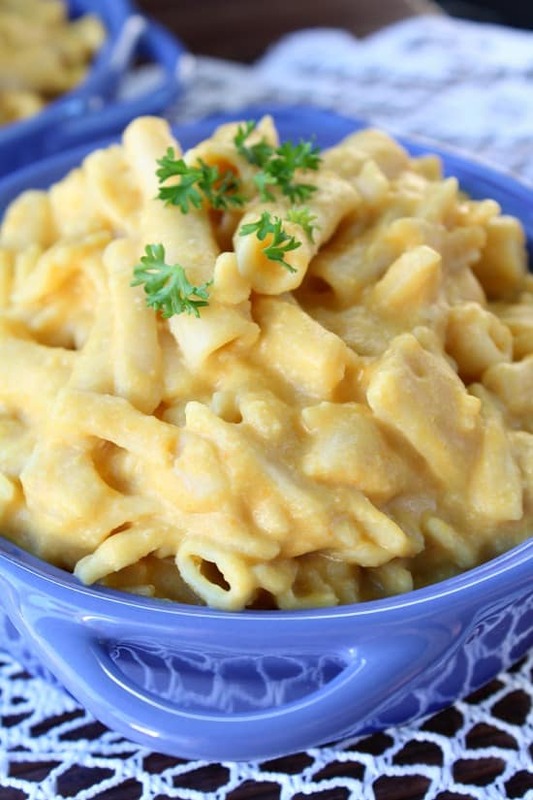 Having tried many versions of vegan mac and cheese over the past 3 years, I had pretty much decided that this kind of rich and cheesy deliciousness made from whole foods was not possible—the illusive holy grail of plant-based eating. Leave it to you to prove me wrong! Can’t wait to try it with potatoes, broccoli, and other veggies! Thank you! This looks delicious and so creamy, Terri. I’ve got to get a Vitamix one of these days. I always hear great things about them. 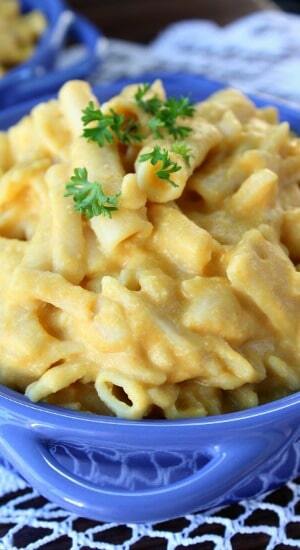 Thank you for the yummy Mac and Cheese recipe. Terri, I too have been searching for the ultimate vegan mac & cheese and had just about given up. But I can tell just by looking at this that you nailed it! Can’t wait to try! !